Let's face it, when it comes to the human body, there's nothing more beautiful than flawless, radiant, naked skin!!! CexeCells Skin Care believes this too and specializes in skin correction using advanced skin care knowledge, technology and the finest skin care products on the market to achieve this. 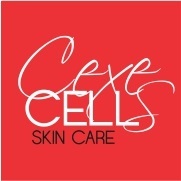 CexeCells Skin Care is not a "one size fits all" establishment, but a skin care "boutique", which means that your treatment and home care regimen will be tailored specifically for you and only you! You will leave with noticeably clearer, brighter and healthier skin after your first visit!